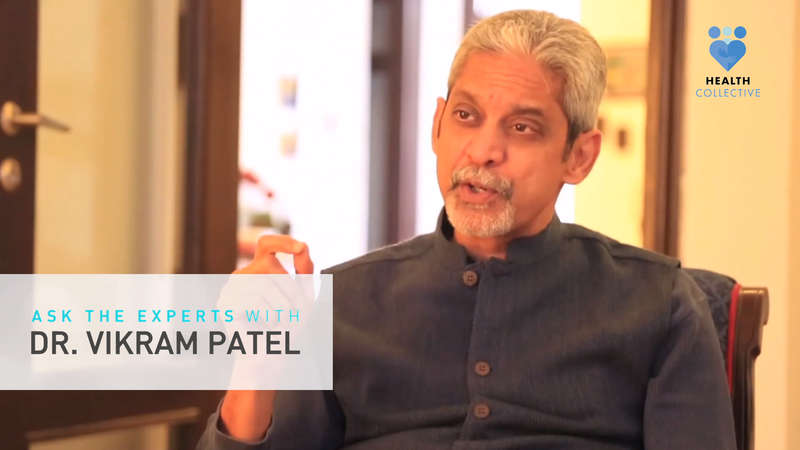 As part of our series, Ask the Experts, The Health Collective is delighted to share this interview with renowned psychiatrist Dr Vikram Patel, the Co-Founder, Sangath. 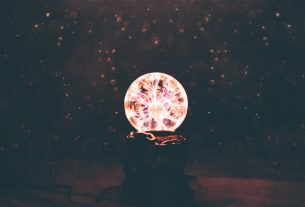 Amrita: How important is it to normalise conversations around mental health and mental illness, especially in India, where people have to deal with stigma on an everyday basis? Dr Patel: Mental health is something we all as human beings should aspire to. I want to distinguish between mental health and mental illness. We often use the word mental health, when most of us are talking about mental illness. Mental health is actually a positive, valued aspiration. If we accept that is what mental health is, then it affects us all. Amrita: Do you find that we’re moving the needle somewhat here in India, in the last few years? Do you find that it’s more comfortable now for people to talk about mental illness? If you have a celebrity who talks about depression, for example, that does shift the conversation to a more positive space, though we are talking more about neurosis not psychosis. Dr Patel: There’s been a dramatic transformation and openness with which people are talking about mental health and also the sensitivity with which the subject is being discussed. I can remember 20 years ago, for example, if I went into a ministry or to a media conference and say I want to work in the area of mental illness, they would often laugh at me and say this is not an issue that is of public interest…It’s something that is embarrassing, shameful, scary to discuss. And today, here you are interviewing me about my work, mental illness and mental health, and that in itself is a sign of the broader change of how society around us. This is something I’m very pleased about and we should celebrate. The point you made about celebrities is an important one. I personally think it’s an important aspect of the openness with which mental health is being discussed. However, there is one caveat. 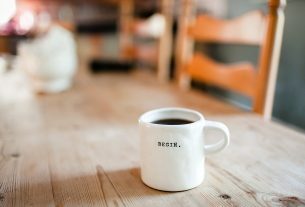 Often people think that mental health is for the rich, the affluent, the westernised, and therefore the assumption is that poor people, who represent the majority of our country, really have more important things, more basic needs to be met, and that mental health is somehow a luxury item for poor people. Actually the truth is that mental illness is much more common among those who are poor, disadvantaged, discriminated (against), marginalised, and I just want to hope that celebrity disclosures don’t perpetuate the myth that mental illness is a problem of the rich and affluent. Amrita: When we look at the numbers, when they say 1 in 4 people will have a mental health episode in their lives, does that number hold for India, as the big picture? Dr Patel: Mental health and mental illness are not the same thing. Mental illness is a bio-medical entity, where we diagnose people with disorders, as defined by the WHO, say, so in this way you divide the world into people with a mental health disorder or without. It’s a binary approach. If I take that approach, the National Mental Health Survey of the Government of India is probably the best data that we have on the prevalence. That survey showed that 1 in 10 adult Indians at any given point in time will have a mental disorder. This also includes substance use disorders like alcoholism. That doesn’t necessarily mean that the other 90% are enjoying good mental health. We may have no mental disorder and yet have poor mental health. A very good example would be suicides. Quite a large number of people who end their lives might not meet diagnostic criteria of having a mental disorder, but they could not have been in good mental health if they chose to end their lives. This is quite a complex set of what seem to be contrasting views of mental health and mental disorder, which is a kind of a diagnostic entity which then triggers a range of clinical interventions. Amrita: Would it be safe to say that the numbers might be under-diagnosed? So maybe to club both questions into one, we know that in India, when it comes to trained mental health professionals, that there’s a huge shortage of resources. I wanted to tie that in with the work that you’ve been doing. The last number I heard was 5000 trained psychiatrists in the country. And what would you say about the paucity of resources? Dr Patel: The National Mental Health Survey of India gives us very accurate figures on the proportion of individuals with a mental disorder who have sought help or have received help in the last 12 months. It’s a staggering proportion. Only 5 to 10% have received or sought help. 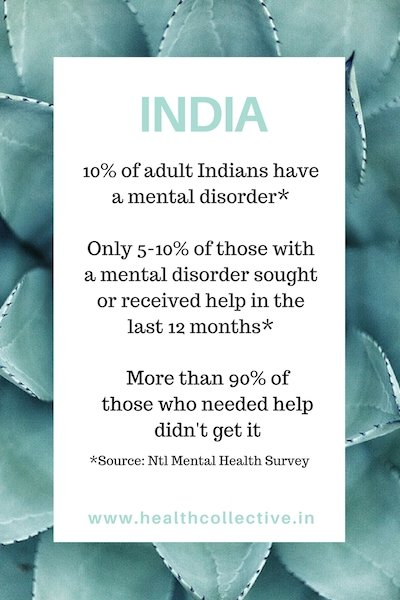 Put another way, over 90% of Indians who are currently affected by a mental disorder have neither received nor sought help in the last 12 months. There are many reasons for this. One obvious reason is the inadequate supply of skilled human resources, particularly within the formal health sector to address mental health problems. Equally one must acknowledge, there is a demand side issue, that is to say when people have experiences which we consider are signs of a mental disorder, they don’t consider they have a mental disorder themselves. 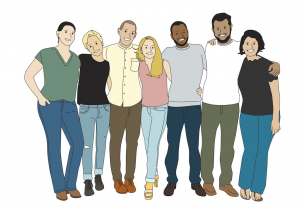 Very often, in fact the most common way, in our culture and our society that people understand the experience of mental disorder is through social explanations. For example, I’m feeling the way I am because something terrible has happened in my life. Some people may invoke supernatural or spiritual or religious explanations. For example, my luck is down because I may have committed misdeeds or sinned. And therefore even though the experiences are very distressing, you don’t think of going to a doctor because you don’t conceive of it as a health problem, leave alone a mental health problem. Amrita: How do you see that conversation changing, if at all? Dr Patel: This is to me a very important challenge. I can draw on some of the work we did in rural Maharashtra, a program where we sought to change the narrative about mental illness in rural communities where there was a high proportion of individuals attempting suicides, in fact the epicentre of farmer suicides in India, which is Vidarbha. Over a couple of years, we engaged with communities, with panchayats, village health workers, asha workers, anganwadi workers, key people within the village community and began a dialogue with them to understand how they understand mental health experiences and incorporated those values, ideas, beliefs, metaphors within our own communication strategy. I’ll tell you, the results were quite staggering. When we started this program, only about 5% of people who met diagnostic criteria for depression had actually sought help. At the end of 18 months, when we repeated a survey to look at the impact of the program, this proportion had shot up 6 times to nearly 30%. Now of course it’s not yet 100%, but still going from 5 – 30% in 18 months, purely through engaging communities, is a reflection of what strategies we need to use. Amrita: You’ve spoken also about the need to deliver healthcare by whatever resources are available. Will you take us through some more of that model and some of the work you’re doing in Goa with Sangath? Dr Patel: Earlier you brought up the very small number of mental health professionals in India. Actually that small number is further exacerbated by the distribution; the majority of that limited number actually live and work in urban metro areas, or in the private sector, essentially excluding the majority of the rural poor from accessing those services. So in some parts of India, there might only be one psychiatrist for several million people. Now, it’s very obvious that with that small number, we do need to think of alternate resources to deliver mental health interventions. It isn’t just about the number. I would propose that many mental health interventions do not need a mental health professional. Given the scale of mental health problems in our society and indeed, globally, and because mental health is something that must concern all of us, even if we don’t have a mental disorder, we must empower every individual in our community to understand the skills through which one can promote and protect our mental health. So: the most important human resource to me, is each and every citizen.